There are numerous ways individuals can become involved in church ministries and functions. The following are various ministry opportunities at Hamilton UMC. Everyone is encouraged to participate in as many as their time and interest allows. If you feel led to start a new ministry contact Pastor Jack. 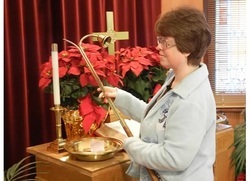 In the United Methodist tradition, acolytes participate in the worship service by lighting and extinguishing the altar candles and ringing the church bell to call the congregation to worship. We especially encourage our youth to participate in this experience. You are invited to join us as we participate and have fun in numerous community events throughout the year. 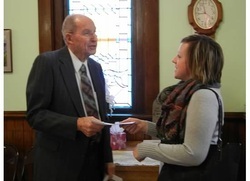 Past ministry opportunities have included the Steuben County Expo, Hamilton Town-Wide Garage Sale, Annual Bake Sale, Hamilton 4th of July Parade, Veterans Day, Fall Fest, Hamilton's Old Time Christmas Parade, UMW's Bazaar and Bake Sale and Hamilton UMC's Annual Car Show. One tradition of our church is to have the youth come to the front of the sanctuary and donate spare change in the fishbowl during the first song of the worship service. We also ask all who are able to bring in aluminum cans each Sunday for recycling. The money collected helps send our kids to camp each summer. 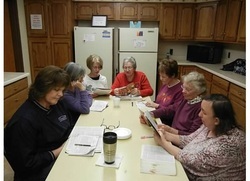 God's Girls is a women's Bible study that meets every Tuesday at 6:30 p.m. They focus on drawing closer to God through Scripture and then living out their Christianity through local mission. For more information contact Sharon Haver through the church office. Regardless if we are a long time member, first time visitor or even what frame of mind we are in when we come to worship, Hamilton UMC's Greeters remind us all welcome in God's House and part of God's family. Just as important are our Ushers. They help those who need assistance, collect the offering and pass the microphone during Joys and Concerns. First of all, United Methodists love to eat. However, more importantly, Matthew's Meal is a vital local mission that serves many people in the Hamilton area. We are always looking for volunteers to cook, set the tables, deliver meals to the homebound and wash dishes and clean up afterward on the second and fourth Wednesday of each month. If you would like to be involved contact Jackie Klender through the church office. The Monday Morning Bible Study has been meeting since 1967, with the sole purpose of drawing members closer to God. They meet every Monday morning from 8:00 until 9:00 a.m. at the church. 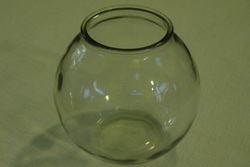 However, if someone is home-bound, they will try and accommodate that person by meeting in their home. If you are interested in being part of this fellowship call the church office. 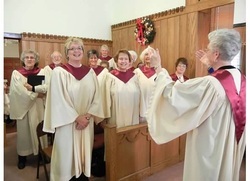 Music is an extremely important part of worship at HUMC. We embrace all forms of music that allow us to connect to God. If you would like to be a part of this ministry or would like to start something not currently offered contact the Worship Leader, Mindy Stevens, the Choir Director, Donna Hamman or the pastor. Sound techs are responsible for the audio/visual presentations during all worship services, weddings and funerals. 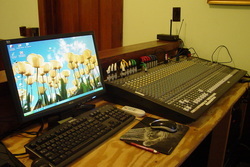 Various responsibilities include running the sound board, computer, overhead projector, microphones and stereo equipment. If you would like to be part of this ministry contact the pastor. Hamilton UMC offers several different church schools each Sunday morning to help individuals nurture their faith, build Christian community and prepare people of all ages for ministry in daily life. This is accomplished by faith-sharing, Bible study, prayer, theological discussion and reflection. All are encouraged to attend. Simply show up and participate. 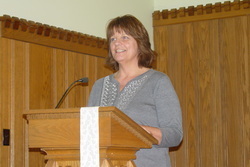 The Hamilton United Methodist Women meet the third Monday of every other month. They invite all women who are interested in personal growth through Christ to join them. The meeting starts at 6:30 p.m., followed by a lesson and fellowship. Everything they do is to help others through mission at home and abroad. The Wannabee's are a group of Christians from many different churches, denominations and geographic locations. Therefore, they do not have set times or places to meet. If you are interested in becoming involved in their mission trips to Jamaica or the local mission work they accomplish contact Sharon Haver through the church office. Worship Leaders assist the pastor each Sunday by reading announcements, helping with Holy Communion, praying over tithes and offerings and reading Scripture. They are also responsible for conducting the worship service should the pastor be unavailable. If this sounds like a ministry you would be interested in, contact Mindy Stevens through the church office. Worship Service – 10:00 a.m. Adult Sunday School – 9:00 a.m.